Full Extension Ball Bearing Slides - 24"
Shop Fox - Full Extension Ball Bearing Slides - 24"
For the ultimate in drawer hardware, these Full Extension Drawer Slides support up to 100 pounds and feature multiple ball bearings for smooth operation. 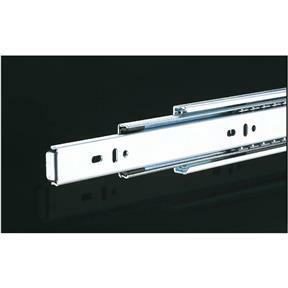 These Full Extension Drawer Slides measure 24" x 1/2" x 1-3/4". Includes two slides.